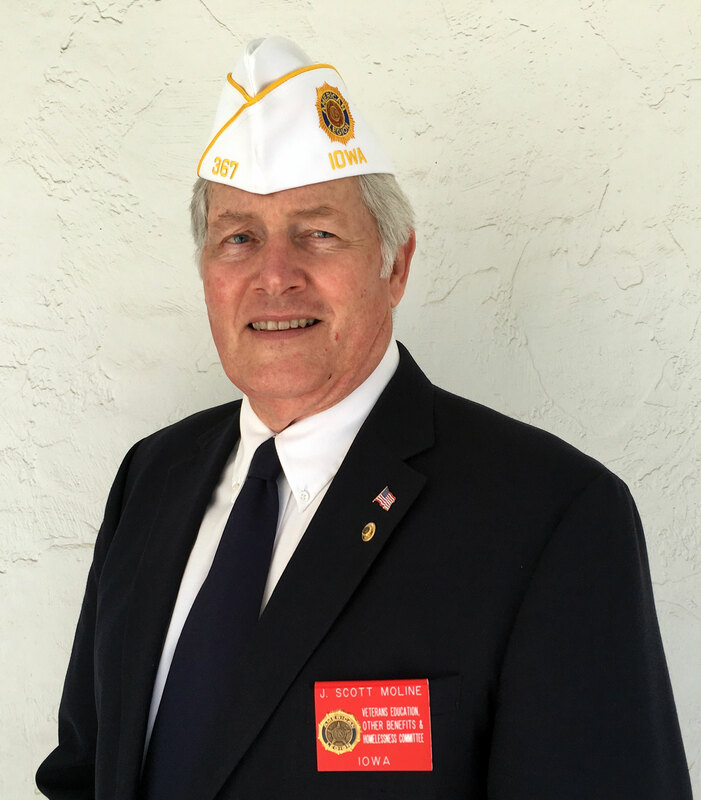 Commander Moline joined the American Legion in 2001, earning his membership eligibility through his honorable service in the United States Air Force during the Vietnam War Era. Moline’s service had him stationed at Keesler AFB in Mississippi, Vandenberg AFB in California, OCONUS at Tin City AFS in Alaska, and Ellswot1h AFB in South Dakota with various Air Force Specialty Codes. After three and one-half years with the USAF, Moline separated at the rank of Sergeant, spent a short time in the active reserves, and then joined the Iowa Air National Guard where he served the 133rd Control Flight at Ft. Dodge in 1974, and the 132nd Fighter Wing in Des Moines in 1979. 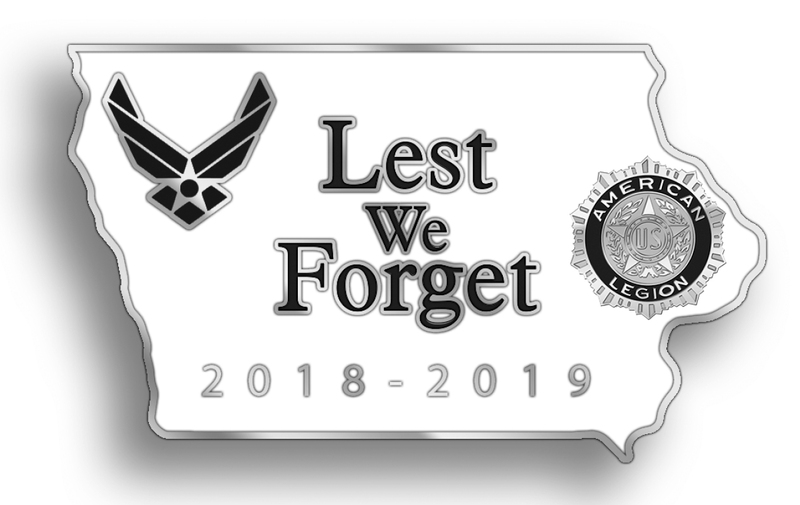 Moline’s service began in 1967 and ended when he retired at the rank of Chief Master Sergeant (E9) with various AFSC’s at the 132nd Fighter Wing in 2001. Commander Moline’s military decorations include: The Meritorious Service Medal, Air Force Commendation Medal (20LC), Air Force Achievement Medal, Air Force Good Conduct Medal, National Defense Service Medal-Star, Humanitarian Service Medal, Cold War Medal, Armed Forces Reserve Medal-HG, United States Armed Forces Outstanding Volunteer Service Medal, Iowa National Guard Commendation Medal, Iowa National Guard Meritorious Medal, and the Iowa National Guard Humanitarian Medal. Commander Moline is dedicated to leading The Department of Iowa beginning at the post level through renewals, 729 lists, recruitment programs and other initiatives. For further information on the Commander’s Bio, click here.